What is the element Nickel as on the Periodic Table? A silvery, hard, ductile, ferromagnetic (easily magnetized) metallic element used in alloys, in corrosion-resistant surfaces and batteries, and for electroplating. Most nickel compounds are blue or green. Nickel occurs sparingly in nature in minerals such as pentlandite and niccolite. It is present in most meteorites. Nickel is used especially for mixing with other metals and for plating. Nickel is of the Iron group and it takes on a high polish. It is a fairly good conductor of heat and electricity. The Atomic Number of this element is 28 and the Element Symbol is Ni. The name Nickel derives from an abbreviation of the German word 'kupfernickel' meaning "Devil's copper". In German 'Kupfer' means copper and 'Nickel' means devil. The German word 'Nickel' was a form of the name Nicholas, a term commonly associated with the devil which is why "Old Nick" is a familiar name for Satan. The metal was originally named by German miners who believed that the devil had changed or contaminated this strange ore, turning it into a less valuable and harder to work metal than valuable copper. The name was given by the chemist Axel von Cronstedt (1722-1765) who discovered the element. Elements can be classified based on their physical states (States of Matter) e.g. gas, solid or liquid. This element is a solid. Nickel is classified as a "Transition Metal" which are located in Groups 3 - 12 of the Periodic Table. Elements classified as Transition Metals are generally described as ductile, malleable, and able to conduct electricity and heat. For additional facts and information refer to Nickel Properties. Nearly 75% of all the elements in the Periodic Table are classified as metals which are detailed in the List of Metals. The use of nickel dates back as far as 3500 BC when it was used for coins and weapons. 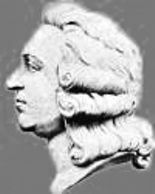 Nickel was discovered by Baron Axel Frederik Cronstedt in 1751. Axel von Cronstedt was a mining expert with the Bureau of Mines and attempted to extract copper from what he thought was a copper ore, but produced a silvery-white metal, instead of copper. He named the new metal nickel meaning "Devil's copper". Cronstedt also discovered the mineral tungsten, meaning heavy stone in Swedish. Nickel is largely used as an alloy with other metals. Alloyed with copper it forms coin metal from which five-cent pieces are made, with copper and Zinc it forms German silver, and when added to steel in small quantities nickel steel is formed which is much superior to common steel for certain purposes. When deposited by electrolysis upon the surface of other metals such as iron, it forms a covering which will take a high polish and protects the metal from rust, nickel not being acted upon by moist air. Salts of nickel are usually green. Check out Nickel on the Periodic Table which arranges each chemical element according to its atomic number, as based on the Periodic Law, so that chemical elements with similar properties are in the same column. Our Periodic Table is simple to use - just click on the symbol for Nickel as on the Periodic Table for additional information and for an instant comparison of the Atomic Weight, Melting Point, Boiling Point and Mass - G/cc with any other element. An invaluable source of facts and information as a Chemistry reference guide. The Standardised Periodic Table in use today was agreed by the International Union of Pure Applied Chemistry, IUPAC, in 1985 and now recognises more periods and elements than Dimitri Mendeleev knew in his day in his day but still all fitting into his concept of the "Periodic Table" in which Nickel is just one element that can be found. These articles contain facts and information relating to Nickel and each of the other elements including the Periodic Symbol, group, classification, properties and atomic number which is often referred to as the Periodic Table Number. Test your knowledge of chemistry and the Periodic Table by completing the Element Symbols and Atomic Numbers on our Blank Periodic Table. Chemistry students will also find a helpful section on Chemical Formulas.